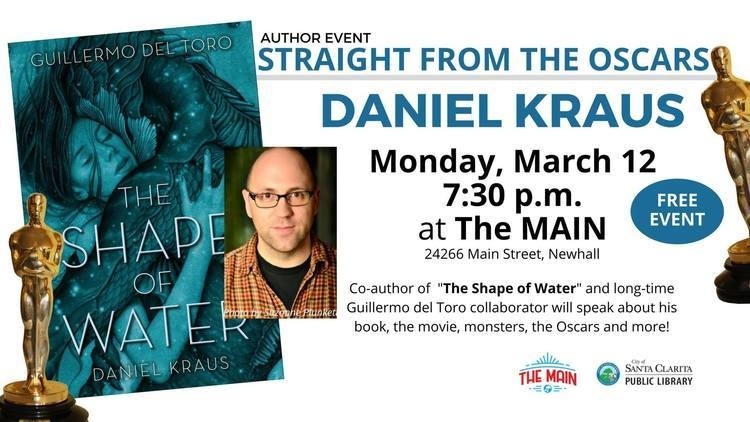 Daniel Kraus, co-author with Guillermo del Toro of the novel “The Shape of Water,” will be speaking at a free author event called “Straight from The Oscars: Daniel Kraus,” hosted by the Santa Clarita Public Library and City of Santa Clarita, on Monday, March 12, 2018, at 7:30 p.m. at The MAIN. Daniel will be speaking about his collaboration with del Toro, the genesis of the story of a mute woman and a sea monster, the feature film, horror books, the Oscars and more. This event is free and seating is on a first-come, first-served basis. The MAIN is located at 24266 Main Street in Newhall. Daniel Kraus has landed on Entertainment Weekly‘s Top 10 Books of the Year and has won two Odyssey Awards. 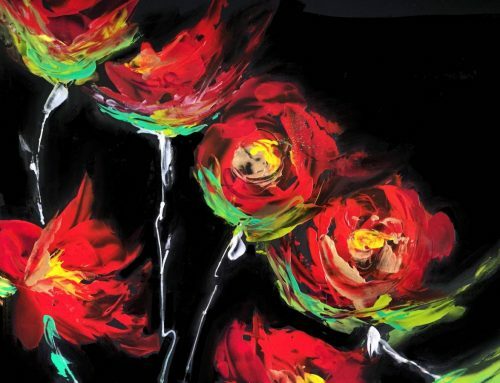 His novels have been Library Guild selections, Bram Stoker finalists and more. Daniel lives in Chicago and is currently completing “The Living Dead,” an epic zombie novel left unfinished by George A. Romero. For additional information about the author event, please contact Senior Librarian Karen Cruze at kcruze@santaclaritalibrary.com or call The MAIN at (661) 290-2255.